Out of stock since Thursday, 3 January 2019. Due back soon. Out of stock since Monday, 25 February 2019. Due back soon. Out of stock since Tuesday, 4 December 2018. Due back soon. Out of stock since Sunday, 24 March 2019. Due back soon. Saddlecraft Jiggy jodhpurs are a very popular and very fashionable jodpur. They are hard-weraring, soft , thick and strong designed for maximum comfort and fit. Features include a wide waistband with belt loops, Saddlecraft brass tag, zip and hook fastenings. 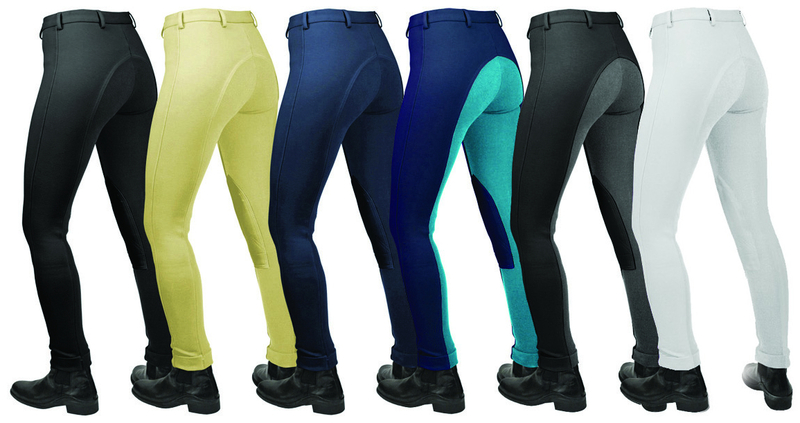 There are currently no questions for Saddlecraft Ladies Jiggy Jodhpurs - be the first to ask one!